January can be a blue old month. Gone is the celebration of New Years and feeling even further afar is the Christmas merriment you had enjoyed with your family. To make things worse everyone is stone broke due to the hectic spending involved around the festive season. On top of all that the weather isn’t helping either, cold days with a chance of miserable rain here and there. But hey it’s not all bad…. Here at Veronicas Snacks we try to beat the January blues and get through the month by eating healthy, staying active and socialising. Here is a helpful list to get you started towards beating those awful January blues. The acid inside Mackerel is called Gamma-Amino Butyric Acid or GABA. GABA provides mood-elevating effects by blocking feelings of anxiety and stress. 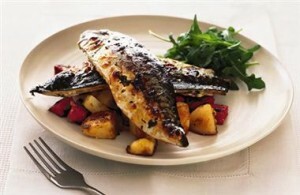 It also helps that mackerel is delicious and a great addition to a salad dish. Cabbage, Asparagus, broccoli and brussel sprouts to be exact. These 4 amazing vegetables are high in Folate which scientists say can increase your mood levels. Bananas are loaded with potassium and this make them an excellent snack for anyone feeling stressed or exhausted. Bananas are a great boost throughout the day when you’re feeling peckish or starting to reach for the chocolate. 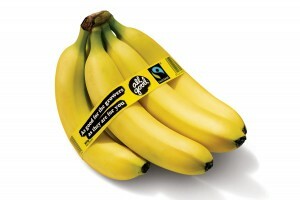 Try to pick up organic Bananas as we here at Veronicas Snacks think they are far more delicious. Exercise, exercise, exercise. The more you exercise, the more your mood increases. Through exercise we are able to release endorphins that are our natural feel good hormones. So hit the gym or go for a run in the park. Even a brisk walk outside helps as the exposure to natural sunlight will increase your mood by boosting your serotonin. Perhaps taking up a new activity could be the way to go. Here at Veronicas Snacks we love to cycle and cycling is a fantastic way to keep fit. Not only is it great for your fitness but also great for the kids. The quality time spent cycling with your children gives them a sense of adventure, even if you just cycle to the nearest park. It costs nothing once you have your bike and you could always bring along some tasty treats like some yummy Veronica’s snacks. Socialising with friends and family is an excellent way to help beat those January Blues. Spending time with friends will help you remain optimistic and also allow you to forget about your troubles for a few hours. Try to arrange an evening out or invite a few friends over for a film night. You could replace the usual movie junk food with a couple of Veronicas Snacks Share-bags. There baked, low in fat, low in calories and extremely scrumptious!